The Dark One Draws Near - Are You Prepared? For those lucky enough to have snagged a ticket, one of the years most anticipated beer events is just around the corner. Each year throngs of 3 Floyd's devotees from all around the country make a pilgrimage to Munster to celebrate the release of Dark Lord Russian Imperial Stout. For the uninitiated, DLD is quite an experience. Great beer and food abounds, but get ready to wait in some amusement parkesq long lines. Thankfully 3 Floyd's allows attendees to bring bottles of beer to share with fellow craft compatriots. As such, DLD represents much more than just the beer from which it takes it's name. It's in these lines, that some of the most imaginative and carefully crafted beers in the world are shared with friend and strangers alike. So as you peruse you cellars and start packing you bags, I thought I would share just a few of the 100%ers, whales and world class beers we have hiding in plain sight on our store shelves. While we might not have these in stock at every Binny's location, I can assure you these beers are obtainable. Give your local Binny's a call and a Beer Consultant will be happy to check stock. 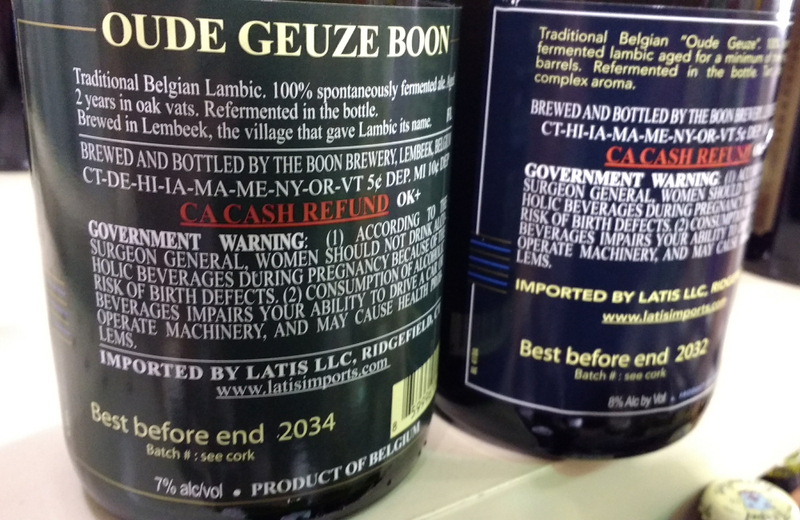 Once a dying and nearly forgotten style, traditional Belgian lambics have catapulted in popularity as of late. 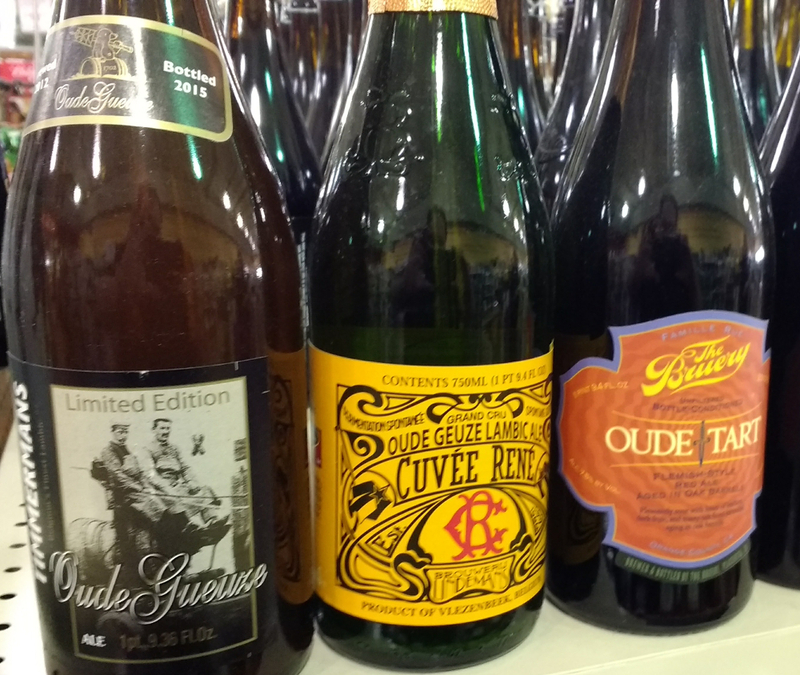 As devotees clamor to obtain beer form breweries like Cantillon and Drie Fonteinen, they often overlook some absolutely stunning lambics and gueuzes. Brouwerij Boon produces an Oude Gueuze and Gueuze Mariage Parfait. Both are breathtaking. As you can see by the labels, these have tremendous cellaring potential! Boon actually sells lambic to Drie Fonteinen as does Brouwerij Lindemans. Thats right, while Lindemans is famous (and unfortunately sometimes snubbed) for their sweetened lambics, they also produce a pair of tremendous traditional Gueuzes. The same can be said for Timmermans. Looking for something sour from the states? The Bruery makes some incredible Belgian inspired sour and wild ales, and their award winning Oud Tart is killer nod to the Flemish masters. The Bruery also makes some massive high gravity brews. Their last Anniversary release Poterie is a malty masterpiece with endless layers of complexity. Poterie brings to mind two gems from North Coast. 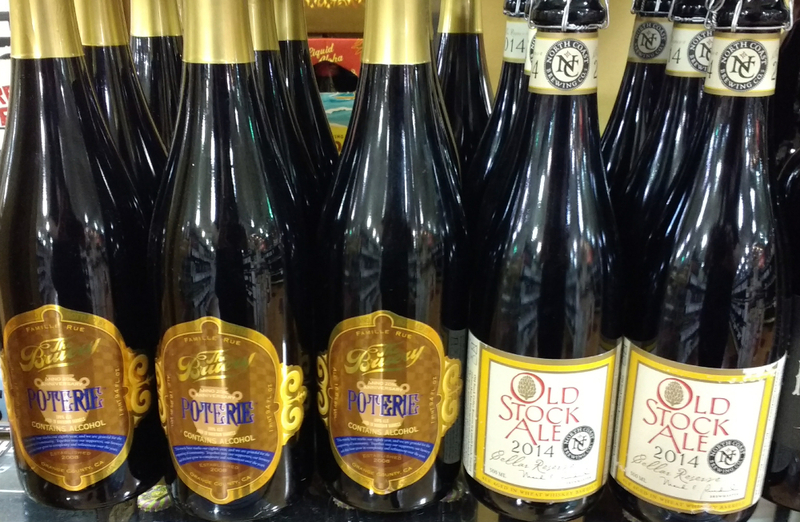 (another phenomenal California brewery) Their Old Stock Ale is one of the finest old ales in the world and theyve laid this decadent brew to rest in Rye and Wheat whiskey barrels. The results are nearly indescribably delicious. At DLD the Russian Imperial Stout floweth. Hoppin Frogs BORIS the Crusher is an iconic example of the style and their many variations continue to impress. TORIS is an incredible riff that turns everything up to 11. As thick and dark as motor oil, it delivers a myriad of flavors including vanilla, molasses, cocoa and figs. 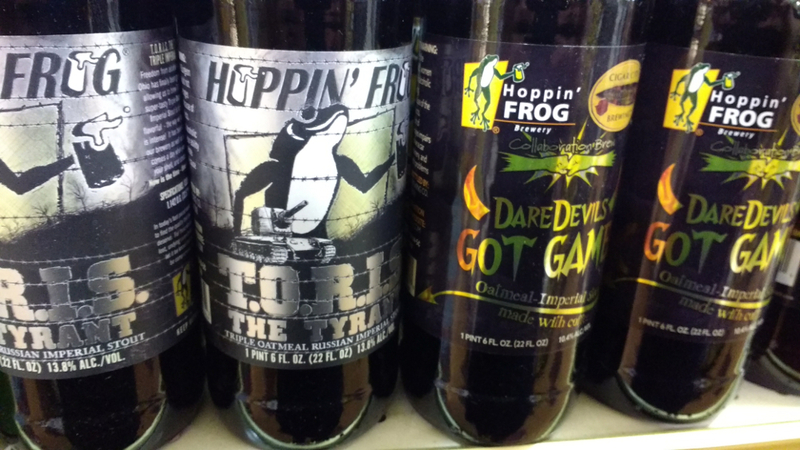 Hoppin' Frog's recent collaboration with Cigar City is also a must try! If youre headed to DLD, lets hope it doesnt rain this year. Even if youre not attending, theres a slew of great beer out there. Stop in and grab a few of these classics, call up some friends and share a glass of something special.